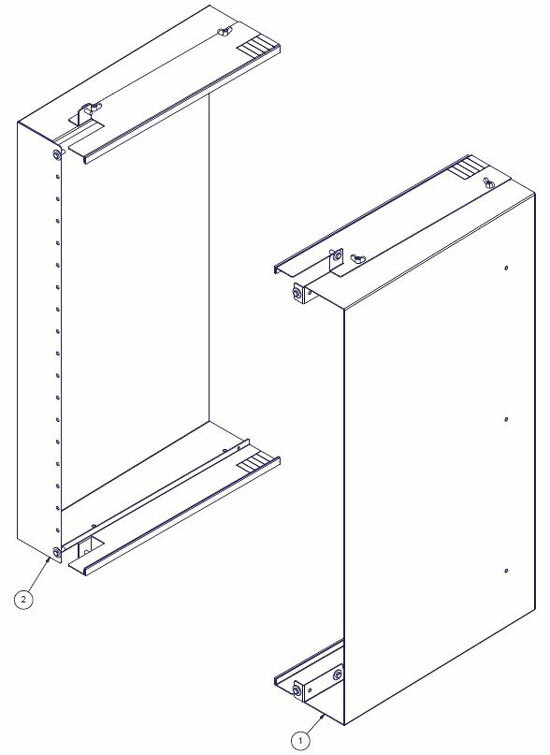 Baffle Kits create proper airflow for switches and side-to-side airflow equipment, as suggested by manufacturers such as Cisco. 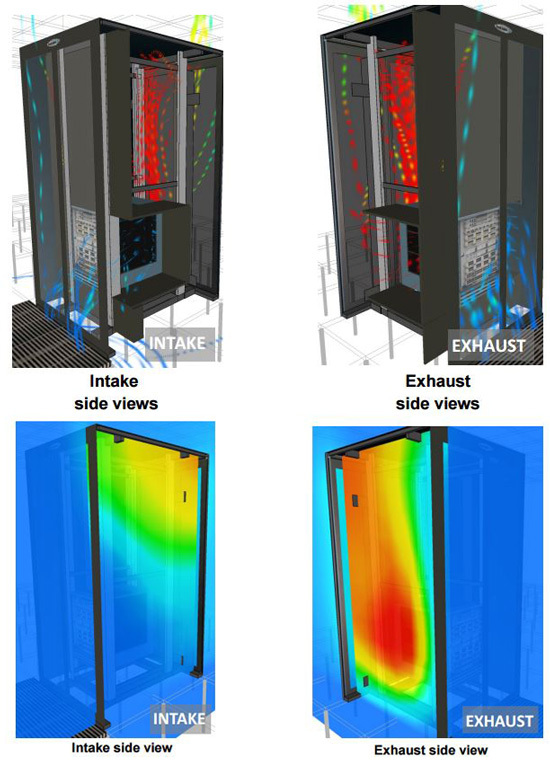 Cool air is channeled into the equipment along the right side and exhaust air is directed out along the left side of the equipment. Kits are tool-less and easily attach to rails outside of the EIA mounting profile. Based on your switch/equipment, choose the appropriate EN enclosure or ES enclosure. Take into consideration your cable management, cooling, and power needs; each enclosure addresses these needs in different ways. Baffle Kit part numbers are specific to EN or ES Enclosures. The Baffle Kit Matrix below shows which kits accommodate various Cisco switches. Other brands of side-to-side airflow equipment can also be mounted. To determine the correct enclosure and baffle kit, compare physical equipment dimensions to what is listed. 1 Four post mounting is required with a rail placement of 24"
NOTE: Although equipment may physically fit into a Great Lakes enclosure, with or without brackets, customers must also review and comply with the equipment manufacturer's installation and other requirements. For example, the E and ES Series Enclosures, when in an open frame configuration, can physically support the installation of a Cisco 7018 Series switch; however, the E and ES Series Enclosure frame designs do not provide the airflow space clearance required by Cisco. NOTE: Great Lakes' EN (Enhanced Networking) Series of enclosures is designed to support the installation of Cisco switches and other side-to-side airflow equipment. The EN Series has the airflow space clearances that are currently required and has accessories (including baffle kits) that are designed to support proper operational conditions. For more information, please contact us. NOTE: When any equipment or accessory is installed in a Great Lakes product, the installation procedures, recommendations and product warranty requirements of the equipment manufacturer must be followed. Great Lakes will not be responsible for any losses or claims arising from a customer's installation of electrical, electronic or other third party products in any Great Lakes enclosure, unless caused solely by a written configuration prepared by Great Lakes for that customer or by a configuration provided by Great Lakes' website, any configuration relies on complete and accurate information from the customer.